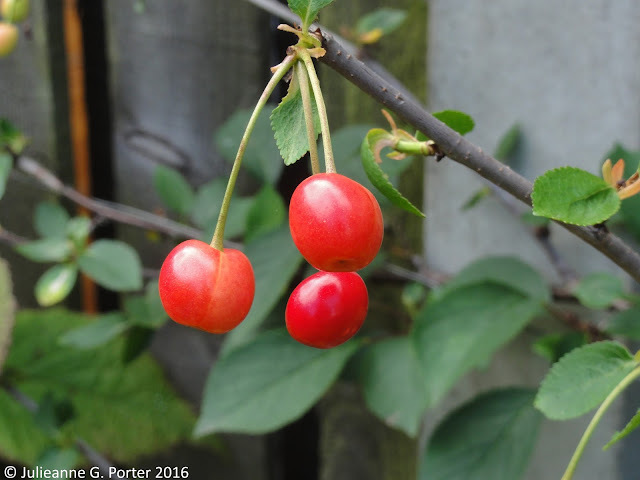 This year I have my first proper crop fruiting on my Morello (sour) cherry, Prunus cerasus 'Morello'. 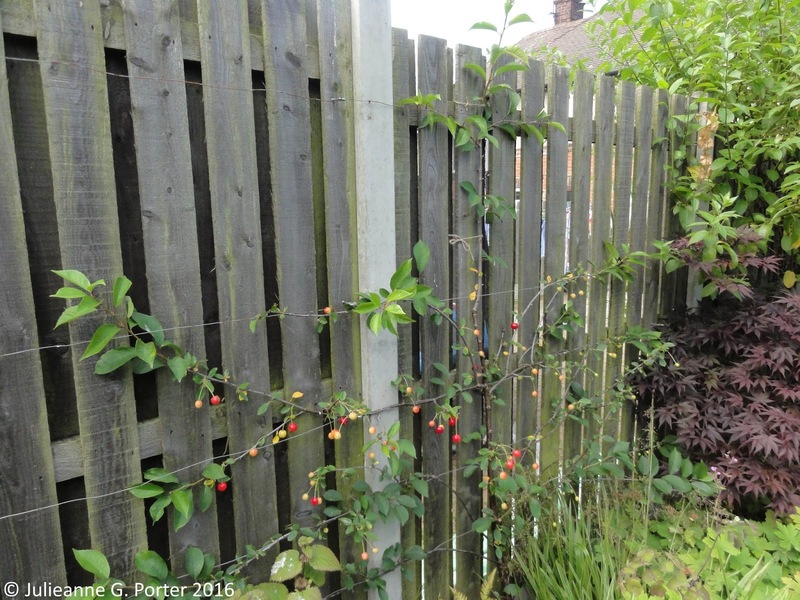 I know from previous experience from when I lived in Oxford, that blackbirds are rather partial to Morello cherries. In fact, they seem to know the exact second they are ready to eat. 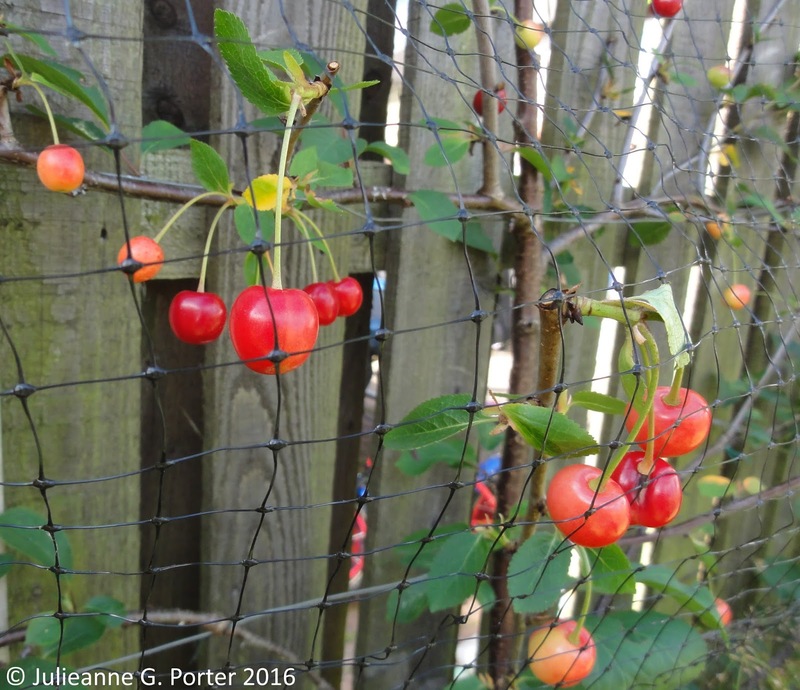 I lost a large crop to them and learned that in future I would net my cherries as they were turning red, if I wanted to beat the blackbirds to them. As you can see, the fruit on my young (c. 4.5 years old) tree are turning red! My cherries are now protected. I've assumed that blackbirds, being large birds, wouldn't be able to cling onto the thin mesh to peck at the cherries. Let's hope that assumption is right(! 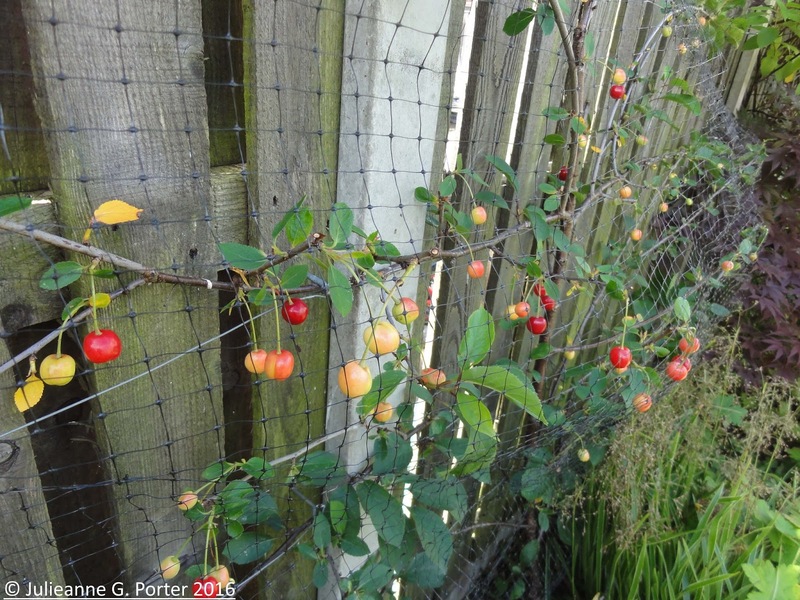 ), and that netting the cherries in time means I get to make Morello Cherry jam this year. Fingers crossed I've outwitted the blackbirds. Mm....I'm not so sure, they'll find a way somehow. 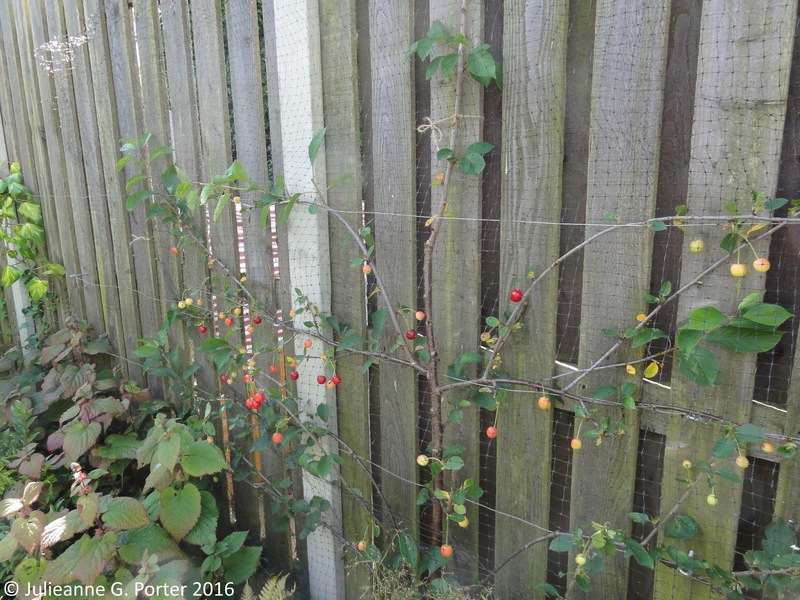 We netted our gooseberries, black and red currants, but they still managed to make a hole and get in! Let's hope you are more successful! Hope you manage to keep them off. 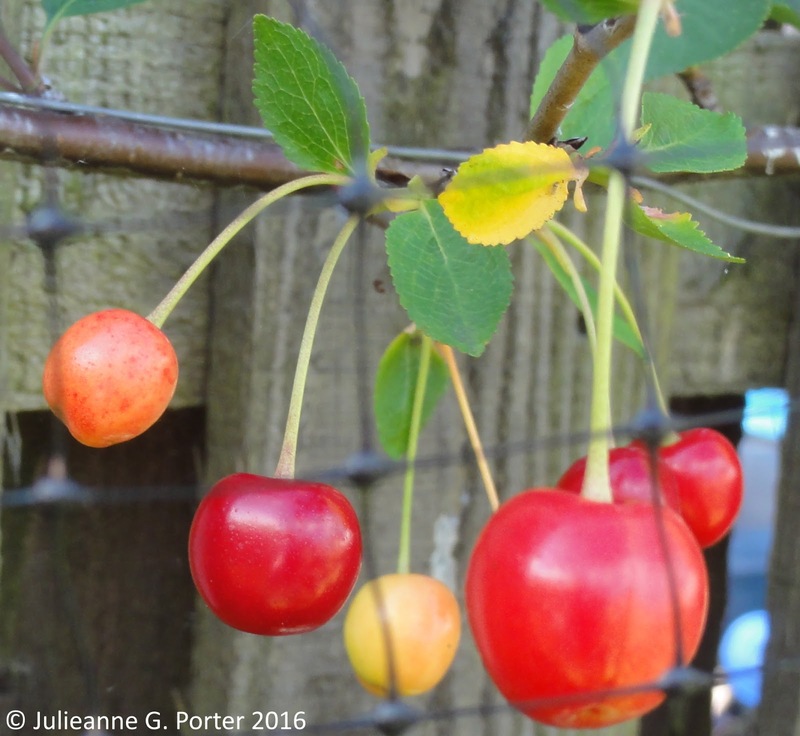 I've found cherry sleeves very successful.